Categories: Business, Diana Renner, Steven D’Souza. So many people today are struggling with the increasing pace of change and the constant and excessive busyness that comes with it. Many feel stretched, overwhelmed and exhausted, besieged by the demands of complex projects and workplaces. They are engaged in a kind of “doing” that is more effort and struggle, rather than a “doing” that comes from a place of presence, openness and aliveness. This is not only ineffective and unsustainable, but ultimately ends in stress, anxiety and burnout. 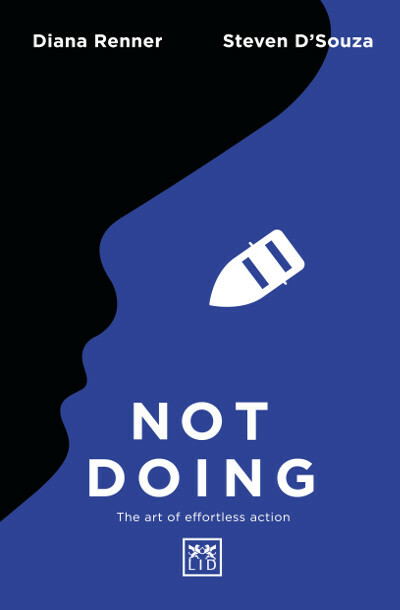 This book, by the authors of the award-winning Not Knowing (Best Management Book of the Year), explores the limits and dangers of “doing”; how do they play out in our lives and workplaces; what is driving, or contributing, to our excessive activity; and what would a different kind of “doing” look like, that is less about control and struggle and more about well-being, harmony and creativity. ● Case studies and examples that create sustainable results by using principles such as ‘active surrender’, ‘fluidity’and ‘grace’. Steven D’Souza is an international consultant, writer, executive coach and educator. He is an Associate Fellow at Said Business School, University of Oxford, an Associate Professor of Leadership at IE Business School, Madrid, and a Leadership Consultant and Coach at INSEAD. Steven is the author or co-author of three bestselling books, ‘Made In Britain’, ‘Brilliant Networking’ (Prentice Hall) and the award-winning ‘Not Knowing’ (LID Publishing). Steven is the founder and Director of Deeper Learning Ltd, a global executive education consultancy. Diana is a consultant, teacher, and writer. She helps individuals and organizations navigate uncertainty and make progress on complex challenges. Diana is the co-author of ‘Not Knowing’, which was named Book of the Year by the Chartered Management Institute in 2015. She is the director and co-founder of the Uncharted Leadership Institute and the creator of Not Knowing Lab. She is also an associate with Melbourne Business School, University of Melbourne, and adjunct lecturer with the University of Adelaide.